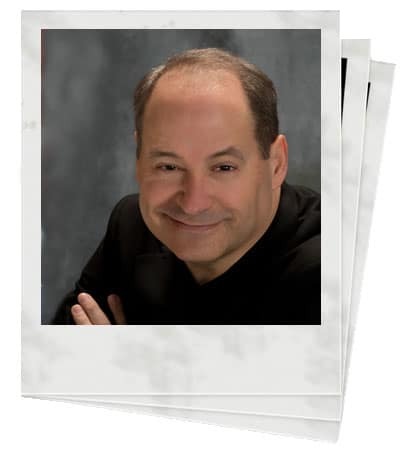 Shawn Doyle is a professional speaker, facilitator, author, and life coach. He has a passion for developing human potential and an avid belief in the importance of lifelong learning. Shawn is known for his positive outlook, relatable style, and comfortable and often humorous approach to learning and development. You will frequently find him using stories to make business concepts, models, and processes relevant to the groups with whom he works. Shawn has a strong foundation in program design, delivery, and evaluation. He’s dedicated his 20+ years of work to helping people reach their professional and personal goals. Shawn has worked for a range of organizations: Office of Naval Intelligence, Lockheed Martin, Charter Media, Kraft, IBM, CPI Card Group, Akorn Pharmaceuticals, JJ Keller, Head Start, Musculoskeletal Transplant Foundation, General Dynamics, and BlueCross BlueShield. Shawn began his career in retail management for a large variety store chain. There, he learned the fundamentals of leading a team, customer service management, and operations. After two years mastering the basics, he leveraged his people skills and selling ability to work for Dart Container as a territory sales representative. In that role, he learned the ins and outs of cold calling, client management, sales effectiveness, and customer service. He spent several years in the field before the head of that company’s training function recruited him after hearing him speak at a regional sales conference. As a senior training coordinator, he designed, developed, and delivered training on such topics as sales, leadership, and motivation. With hundreds of hours of classroom time behind him, Shawn moved to Comcast where he was the vice president for learning and development. There, in addition to managing the day-to-day operations of the training function, Shawn co-launched Comcast University. The University’s inaugural effort was a highly successful development program for high-potential hourly employees. That program drove retention and internal promotions. It has been the subject of several case studies. Eager to branch out and continue his work with a wider range of people and projects, Shawn left Comcast. He partnered with Business Training Works in 2005. Since that time, he’s developed and delivered courses and keynotes on creativity and ideation techniques, leadership development, a host of human resources topics, and sales and negotiation programs. Shawn is a regular contributor to The Huffington Post, Inc., and Entrepreneur. Training and Development Magazine, Creative Training Techniques, and Miller-Heiman’s Best Few have also featured his articles. Shawn. holds a BA in theater performance from the University of South Florida. He is Certified Speaking Professional (CSP), a designation awarded by The National Speakers Association. He is also a a Registered Corporate Coach (RCC) and certified trainer for DDI, the Winninger Institute, and Miller-Heiman. Positive, prepared, and relatable. Some people also think I’m funny. Early in your career, what attracted you to learning and development? I was working in sales, and I did a presentation at a regional meeting where a training director sat in on a session I delivered. He recruited me. I started the job, and I loved it. From that moment on, I knew I’d finally connected with my purpose. It may sound corny, but I enjoyed making a difference in people’s work and challenging them to think. Interestingly, not much has changed. Helping people reach their potential is the main reason I get up each day. Which activity do you like best: facilitation, coaching, or keynote speaking? They serve different purposes, so I can’t say there’s “best.” I like them all when they’re used to achieve the right goal for a client. For example, a keynote isn’t going to help someone who needs a development intervention, but a well-built coaching plan can. I enjoy facilitating topics that drive a business forward. That might mean a six-month leadership development program, a workshop on hiring, a keynote on driving employee engagement, or a course on harassment prevention. What I like more than a specific topic is making a difference to the clients I serve. In what industries do you have the most experience? I’ve been at this work a long time. While I hesitate to say I’ve seen it all, I’ve seen a lot. I’ve worked with retailers, banks, universities, pharmaceutical firms, manufacturing groups, nonprofits, healthcare organizations, professional service firms, call centers, and of course, the cable industry. You write a lot of books. How can someone be an expert on such a wide range of topics? You’re right. I do write a lot. And at first glance, the topics seem diverse. However, there’s a thread about motivation, empowerment, and taking action that runs through much of my work. For example, the Jumpstart Series is about improving various business skills. The first tile in the set, Jumpstart Your Motivation, earned a positive response from readers. Their reaction was the genesis of the larger project. I didn’t initially write with a series in mind. In hindsight, however, the collection allows me to address a wider range of people and business challenges. Writing gives me an opportunity to share with people I may never meet in person – especially those people living on a different continent who are reading my work. It’s humbling to hear from someone on the other side of the globe that you’ve made a difference. To my delight (and amazement), four of my titles have been translated in ten languages and are distributed in India, Malaysia, Singapore, China, and other places I’ve yet to personally visit. I constantly read, I participate in industry groups, and I’m always listening to what’s happening out in the field. In terms of learning, I find there’s no substitute for face-to-face interactions with clients who are confronting real-time real-world challenges. Enjoying the Pennsylvania countryside with my beautiful wife and our three crazy cats or drawing the occasional cartoon.